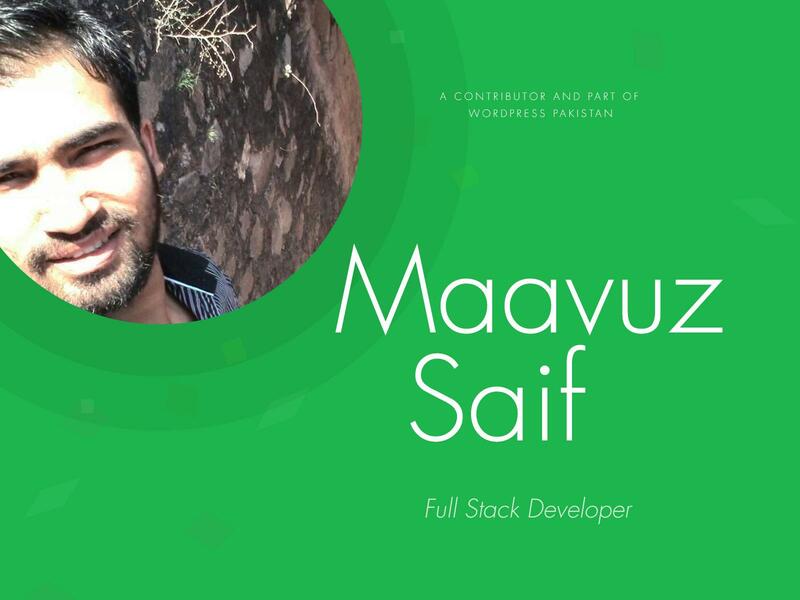 Maavuz Saif, I am a self-taught full-stack developer who specializes in WordPress. In the starting days, without any proper teacher except online sources, I started to learn HTML/CSS and got an internship in a local software company. After some time, I began working with WordPress and fall in love with it. And it’s been four years working WordPress. It is everything for me, pays my bills. Though I was desirable, I never contributed to an open source software before. I got my inspiration to join and challenge myself to avail the opportunity, when one of my facebook friends, Ahmad Awais was inviting developers to join him. It was a great experience for me, indeed. Currently, I am contributing to WordPress support forums, and have plans to contribute in WordPress core someday. As a self taught WordPress developer, having no proper learning sources except Google and WordPress forums, I decided to return the favor to WordPress community, by contributing my valuable experience with WordPress community globally. I spent my weekend contributing to WordPress. My message to the people who would want to join us next time is, join and involve others with your ideas, solve the problems and form a well-balanced relation base where people can learn new things as well as contribute to the whole WordPress community.